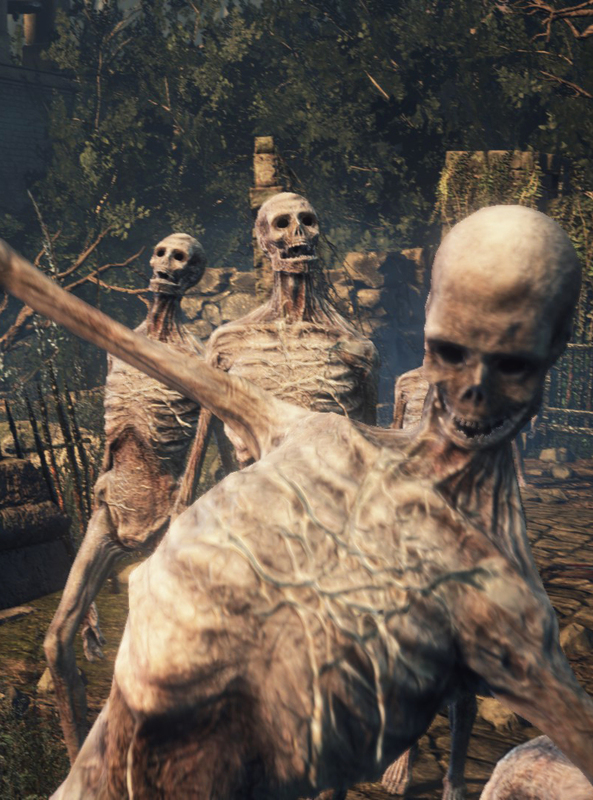 Reanimated Corpse is an Enemy in Dark Souls 3. Their skin tone varies slightly between mobs. Infested Variants explode into a more aggressive form. They generally wander aimlessly, although can collect together and block your path. While it's pretty easy to keep them non-hostile, they will aggro if you stand close to them for too long. Once provoked, they will most likely lose intrest after throwing a sluggish punch or headbutt. Can potentially inflict you with bleed-inducing maggots via their puking attack. Regardless of how many die, they will continue reanimating up to a set cap. Any source of fire dmg will incapacitate them for a few seconds, they are also weak to fire. They're weak to fire and incapacitated by fire. Being stuck by flame of any kind, torch / infusion / buff etc. causes them to panic for a few seconds.